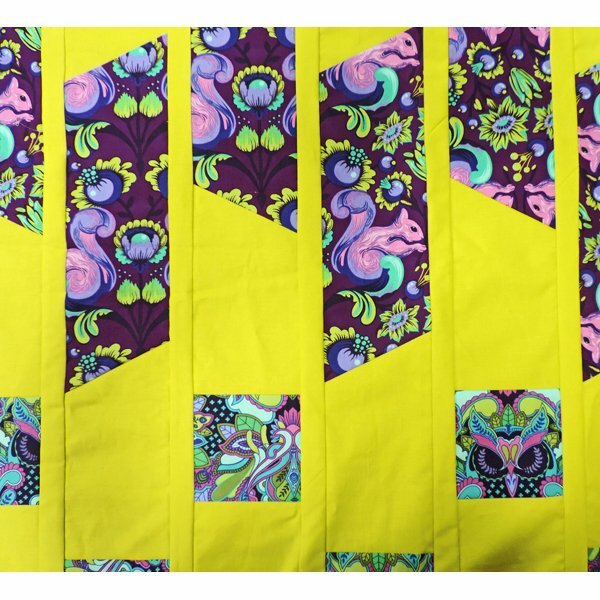 Learn how to make these slanted ends of the focus fabric. No special ruler needed—just your normal 6 ½ x 12 ½ ruler. Create an offset pattern to play with. Great for a treasured jelly roll or scraps.